Professor Ingrid Robeyns is one of the initiators of the Utrecht branch of WOinActie. The protest group has called for scientists and students to wear a small, red square, made of fabric, at the opening of the academic year, as a silent protest. Here, along with a number of fellow signatories (see below), she’ll explain what the protest is about. At the opening of the academic year, September 3rd, we and many other colleagues will pin a red square on our togas. The red square is an international symbol that’s used at universities by students and employees alike, to signal that we’re stretched to breaking point. There’s no leeway left at all. From within the academic work environment, voices have been calling out for years, saying that the workloads in scientific education have become far too much. It’s a serious problem, that needs to be dealt with. Dutch universities acknowledge the problem. 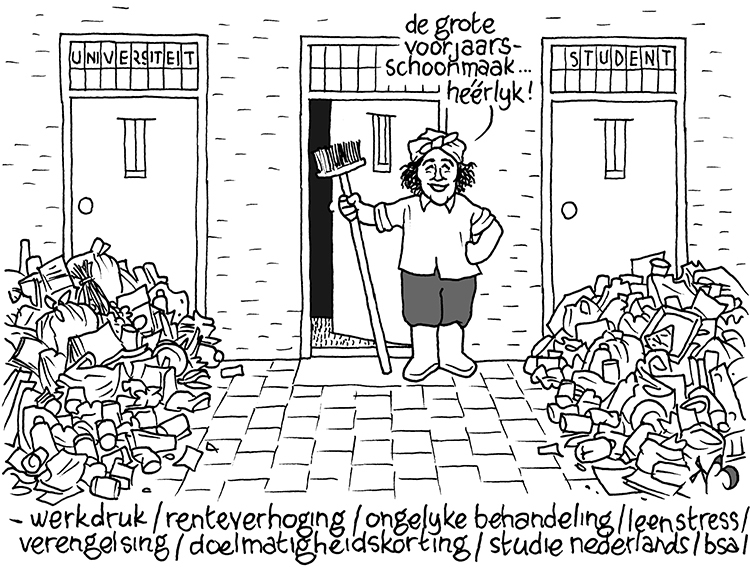 Through the VSNU, the association of Dutch universities, a plan of action has been made, meant to battle said workload. Utrecht University also has a plan of action that’s been published on the VSNU website. Quite a few remarkable numbers can be found in the text. Workload issues apparently especially befall scientific teachers (assistant professors, senior lecturers, professors). Of this group, 72 percent say their workloads are too high or far too high. This was recently confirmed by the study ‘Drijfveren van Onderzoekers’ (Researchers’ Motivations) of the Rathenau Institute: assistant professors and senior lecturers are said to work an average of 30 percent overtime; professors no less than 45 percent. The red square is meant to draw attention to what we see as one of the most important causes of high workloads: the decline in government funding per student. 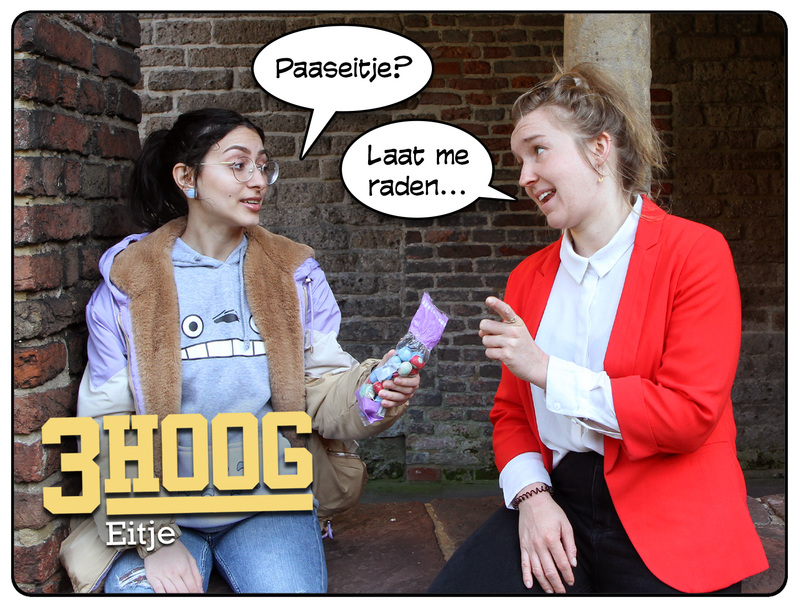 Since 2000, there’s been a 68 percent increase in the number of students in the Netherlands, but the government funding per student has gone down by 25 percent. This at a time when other countries, such as China and Germany, are increasing their investments in science. Dutch universities are still performing very well. We score high on international rankings, and we came in first in a European comparison of how efficient government funding is spent in academia. Everyone acknowledges that we’re performing well in Dutch science. But the decline in government funding means these achievements don’t come without a price. It’s the universities’ employees that compensate for these cutbacks by structurally, massively, working overtime. At the same time, many PhD candidates are eager to start their teaching careers: there’s work to do, but no jobs. Teachers try to deal with the excessive workloads in education by working on their educational tasks in time allotted to research. Their actual research and societal impact is then moved to weekends or evenings. We’re overexploiting our employees: it’s inhumane, unethical, and legally unjustifiable. Additionally, even students are noticing the consequences more and more. Classes are taught in larger groups, the quality of education is under pressure, and there’s less time for guidance. To turn this situation around, WOinActie was founded the previous academic year – analogous to PO in Actie, a movement of primary school teachers who protested their low salaris and high workloads. WOinActie wants to unite students, employees, and directors, bringing two demands to national politics. The first is the abolition of the efficiency cutbacks that were first presented in the coalition agreement. The second is restoring the government funding to the level it was at in 2000, which would mean an extra investment in universities of 1.15 billion euros annually. For this purpose, a letter was sent to minister Ingrid van Engelshoven in May 2018, containing these demands, and announcing protests that would follow in case the demands hadn’t been met by Budget Day. Primary school teachers have shown in the past year that large-scale protests can be successful. In one year time, their protests have resulted in a significant structural financial injection, even if not all demands have been met. Scientific education, like primary education, needs similar financial recovery. This is meant to ensure the universities’ employees can keep performing their tasks at a high level, without having to sacrifice themselves to the overexploiting that’s characteristic of our industry at the moment. That’s why WOinActie calls for all students, employees, and directors, to wear the red square as a visible sign of protest, and to join the other protests that will follow this academic year. Those who sign up by sending an email to woinactieutrecht@gmail.com will be kept up to date on how the plans will evolve, and can help shape the protests. It’s cynical, to say the least, to note that it’ll be hard for many colleagues to do so considering their high workloads, but many hands make light work..